Silky mousse made from free-range chicken and turkey livers, using all-natural ingredients including real black truffles. 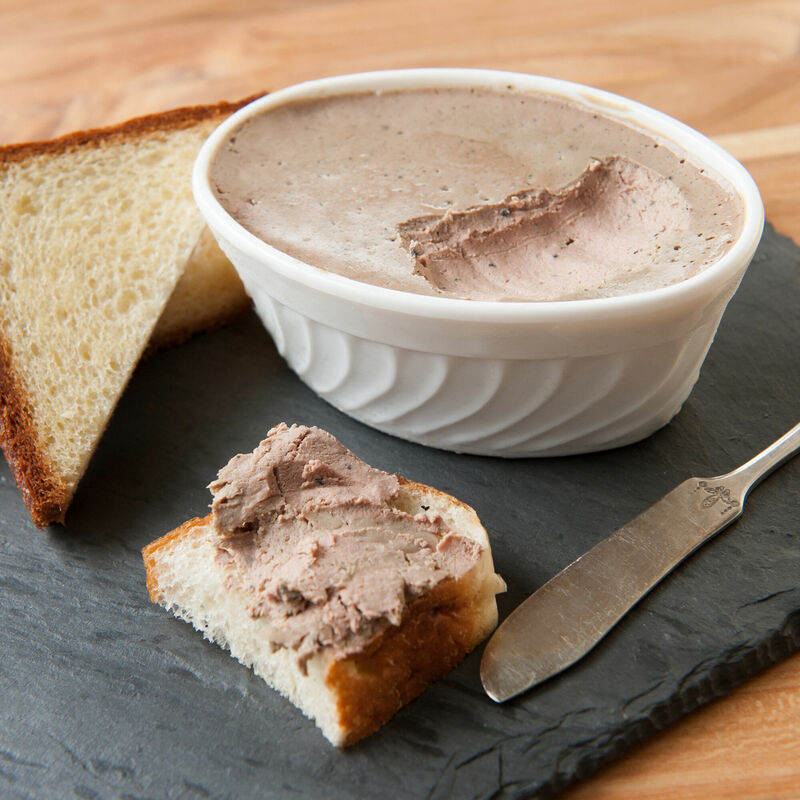 Intense, earthy, and scented with truffles, this mousse is a stand-alone favorite when spread on baguette or crackers, and makes a great addition to a charcuterie plate. Serve our mousse truffée alongside a selection of our other artisanal charcuterie, like saucisson sec and jambon de Bayonne, and round out the platter with a couple of cheeses. We love this mousse with minerally Rieslings and white Bordeaux. Or, try it with a spicy Rhône Valley red. Like all of our mousses, this one is 100% natural, with no antibiotics, hormones, chemicals, or preservatives.